All children in the UK currently study dance as part of their physical education curriculum – much to the disgust of some teenage boys who would no doubt rather be spending their lessons playing football and not dancing. However, it is important for children to get a wide range of activity and dance can help them to be more co-ordinated and more flexible – benefits which other forms of exercise cannot deliver. 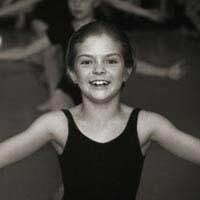 The standard of dance teaching, however, does vary from school to school and parents whose children are particularly interested in dance should probably bear this in mind when looking at secondary schools for their offspring. Children study dance in PE until they leave school. And for those children who are especially interested in dance, there is the option of doing a GCSE in the medium, if their school offers it. However, there are problems in that teachers who teach PE are not required to have any formal dance training. This can result in teachers with an extensive knowledge of PE but not dance having to teach dance – meaning they are not able to give guidance on the more artistic aspects of the medium. The introduction of specialist schools has meant that schools have more freedom to focus on an area of strength. For some schools, this has been the performing arts. Those schools which have achieved specialist performing arts status are able to concentrate on the arts and this includes dance. This means giving greater status to the arts within schools and allowing those children who are interested in dance more opportunity to express themselves through dance. Schools with the specialist status chose children to be arts consultants. These children then liaise with their peers as to ways they thinks arts could be integrated in other subjects throughout the school. If dance provision within the national curriculum varies, that is nothing compared to the vast range of provision in terms of extra-curricular. Again, schools which have specialist status are more likely to be able to provide links to dance schools and high quality teachers. Having said that, if the demand is there from children, then extra-curricular activities will be arranged by most schools, it is just a matter of finding the right teachers. Dance is not a priority for most schools so if it is of importance to you or your child that dance is offered, then it really does make sense to send your child to a specialist school. If you send your child to dance lessons away from school, then the national curriculum provision might not be so important. But school productions and variety shows will always provide some opportunity for children to demonstrate their dance skills and show any improvement, so even the least arts-friendly school in the country may offer very limited opportunities to see if your child is talented in the field of dance – and then further lessons can be arranged from there, if the child so wishes.